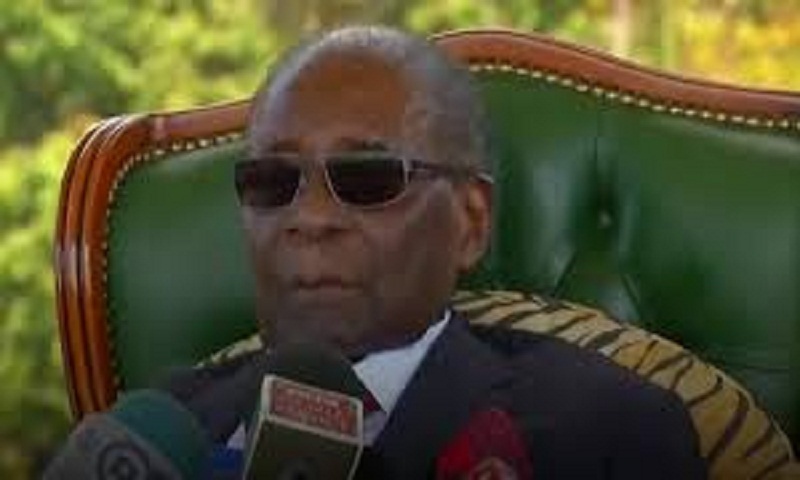 Zimbabwe's ex-president Robert Mugabe says he will not vote for his successor and former ally in Monday's elections. In a surprise speech, Mr Mugabe said he could not support Zanu-PF's Emmerson Mnangagwa after being forced from office by the "party I founded". "I cannot vote for those who tormented me," he said. He added that he had not chosen among the other candidates but wished the main opposition leader well. Mr Mnangagwa's main challenger is the candidate from the opposition Movement for Democratic Change (MDC), Nelson Chamisa. More than five million Zimbabweans are preparing to go to the polls to vote in presidential, parliamentary and local elections. There are 23 candidates on the presidential ballot. The country is expecting a high turnout of first-time voters, where the youth vote is expected to be key, with almost half of those registered being under the age of 35. The impoverished country, which has known decades of repressive rule, faces severe economic challenges. The frontrunners in addressing these challenges are Zanu-PF's President Mnangagwa, 75, and the MDC's Mr Chamisa, 40. An opinion poll last week saw the MDC close the gap with Zanu-PF from 11 percentage points to three, with 20% of voters undecided. It was only the second of two opinion polls.